Acclaimed filmmaker Aparna Sen says it is shameful that 'Lipstick Under My Burkha' is not getting a certificate from the Central Board of Film Certification (CBFC) in India. 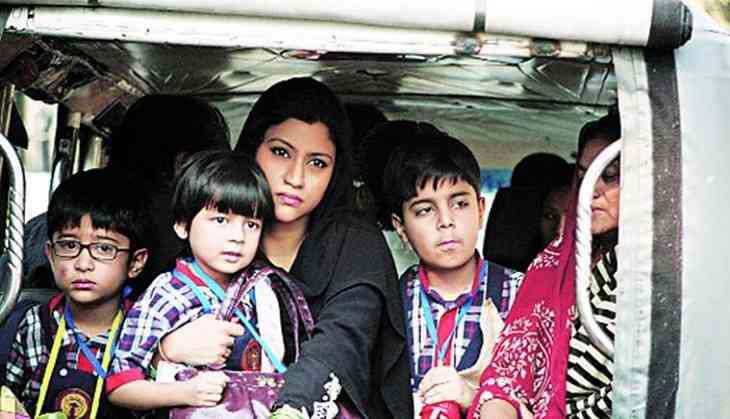 Aparna's actress-daughter Konkona Sensharma stars in 'Lipstick Under My Burkha', which is directed by Alankrita Shrivastava. 'It's shameful. I hope the tribunal (Film Certification Appellate Tribunal) has enough sense to say 'yes we will give it a certificate'. It is a breach of our democratic right to our freedom of expression,' Aparna told IANS on the sidelines of the trailer launch of her next directorial venture 'Sonata'. Revolving around four women -- a burqa-clad college girl, a young beautician, a mother of three and a 55-year-old widow who rediscovers her sexuality -- 'Lipstick Under My Burkha' also features actors like Ratna Pathak Shah and Aahana Kumra. 'Lipstick Under My Burkha' has been deemed too 'lady oriented' in content and according to the censor board, it is laced with sexual scenes and abusive words. The film won a gender equality award at the Mumbai film fest last year, and recently won the Audience Award at the Glasgow Film Festival. READ NEXT >> Kapil Sharma introduces his girlfriend ‘Ginni’ on twitter!